The demand for the Astro Malaysia IPO was very good. The institutional portion of the initial public offering has been oversubscribed by more than 20 times. On the retail front, it was oversubscribed by 6.08 times. Astro Malaysia IPO is the third largest this year behind FGV and IHH. 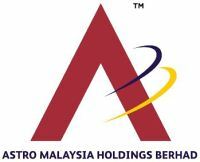 Various research houses give early target or fair prices for Astro Malaysia ahead of the listing day on 19th October 2012. All of them generally targeted higher than IPO subscription prices of RM3.00 per share in the range of RM3.09 to RM3.53. The average figure is RM3.25 or 8.4% higher than IPO price. just wanna ask..if i que 3.01 early morning tomorrow..n the opening price is higher..let say 3.30…will the order match as 3.30? You que buy or que sell? If you que buy, you won’t get any. If you que sell, order match will be at RM3.30. Que sell.. Thanx so much.. Alloted few. Hope will fly a bit tmrow. Not really optimist about astro. More of sentiment play..
looking at the performance now..will take awhile to go back up to IPO price. Poor IPO, day one someone has already que sell at 2.68, wonder the staff get their share at 2.50.